NYTimes Publishes Biggest Crossword Yet - PRINT ONLY! 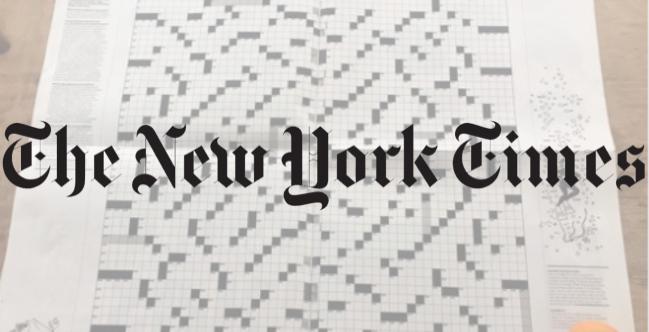 NYTimes Publishes Biggest Crossword Yet – PRINT ONLY! The New York Times showed us that print isn’t dead yet by publishing their largest crossword ever – a 50 x 50, 728-clue puzzle called the Super Mega. The massive crossword came out in the New York Times Sunday print edition in a puzzle-oriented special section called Puzzle Mania. It was specifically not available to digital subscribers. Jake Silverstein, the current editor of The New York Times Magazine, told The Verge that the goal of these special sections is to reimagine the possibilities of print. One huge crossword was not enough for Puzzle Mania. There were actually 33 puzzles in the section. A great example of how a tangible print piece can still be really awesome for the right idea.